Such advanced technology may be developed in a couple of decades, transforming us into a “telepathic” species. But what if we already have “natural” psychic abilities, emergent properties of quantum-entangled neurons, waiting to be unlocked by appropriate training? Or both? Can transhumanist human enhancement and the paranormal abilities co-exist? Or are they on an inescapable collision course? These are some of the questions that U.K.-based writer and journalist Martin Higgins sets out to explore in his novel Human+, a just-published science-fiction page-turner inspired by of futures studies, psychic spy research, and the transhumanist movement. Adapted from a movie script, the novel combines reality-warping and edge-of-your seat action scenes reminiscent of Wild Palms, Vanilla Sky, and The Bourne spy series. David, a Manhattan heroin drug addict, is rehabibiliated by Dr. Wharton, a psychiatrist with a spooky past, and finds himself in a new-agey program to develop his latent remote-viewing psychic powers. Dr. Wharton and his staff are somehow associated with Future Proof, a Soho futures-studies consultancy. David becomes David McKinley, a highly paid futurist and expert on advanced nanotech and biotech — knowledge that he actually accesses psychically. Future Proof is funded by billionare venture capitalist Thomas Ames to develop a roadmap for a futuristic nanotech-biotech breakthrough: inhalable “smartdust” — nanobots small enough to pass through the lungs and the blood-brain barrier, and act as neurons — enhancing mood, extending life, and enabling direct networking with the world via wireless brain-computer links. Their new company, Thetis, plans to accumulate wealth beyond their wildest dreams. But things go awry when David’s instructor and now colleague Lawrence attempts to blow the cover of what appears to be a nefarious scheme to control humanity, linked to the Defense Intelligence Agency’s remote viewing/psychic spy program. I am persuaded that advanced transhumanist technologies will bring very radical change, someday soon. For example, early technologies similar to Thetis’ smartdust and brain-computer interfaces are already emerging from the research labs. I am less persuaded of naturally occurring psychic abilities and otherworldly realms. But I hope to be wrong, because these things would also be cool — very cool. Human+ has KurzweilAI readers directly in its bullseye. 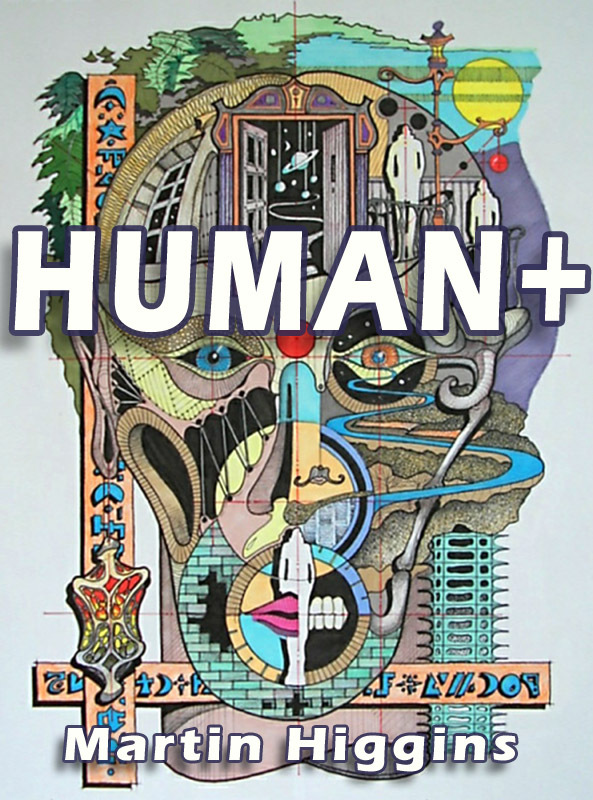 I highly recommend it for its thought-provoking reading pleasure — and I look forward to seeing Human+ the movie.